We create cakes for any occasion. We had a client that requested for their wedding cake an “enchanted garden” theme. 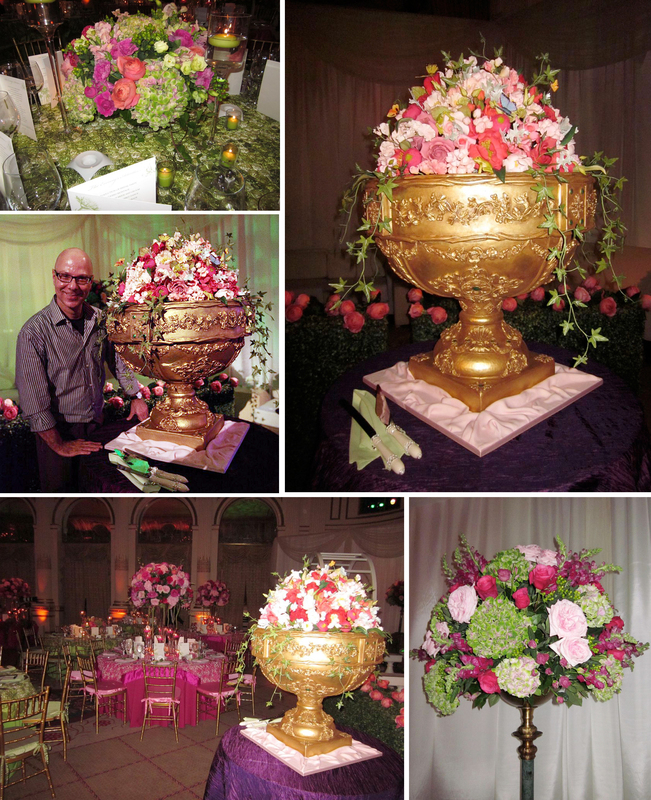 Ron designed for them a large gilded urn filled with bright colored sugar flowers that you would find in an English garden. Ron left no detail out as he designed this cake. 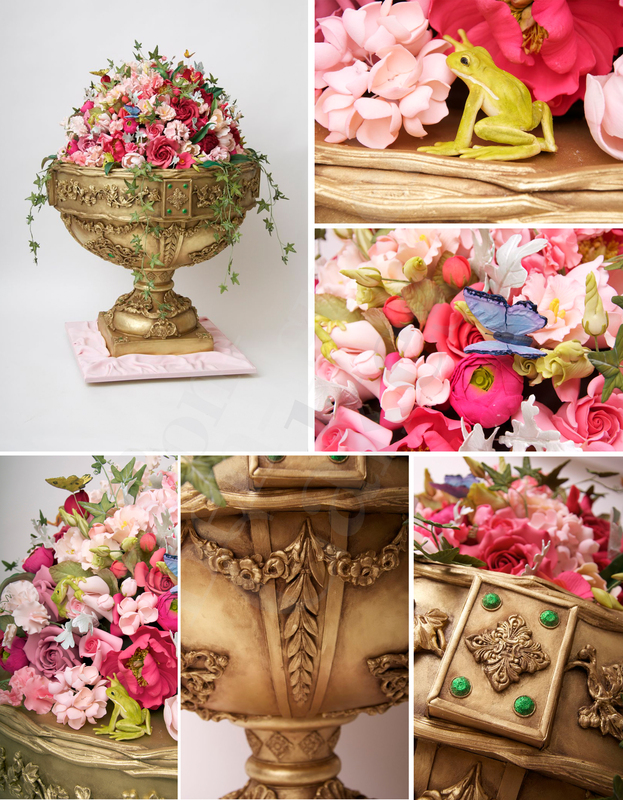 The gilded moldings on the confectionary urn's surfaces reflect those from an old English garden. The bright colored flowers complete the design. Ron delivered this cake to the Plaza Hotel, he wanted to see how the ballroom was transformed into an English garden. This is one of the most beautiful cakes I’ve ever seen. WOW!